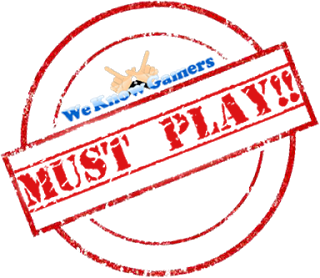 Home » Injustice 2 » PS4 » ps4reviews » Injustice 2 Review - Which Side Are You On? Injustice 2 Review - Which Side Are You On? 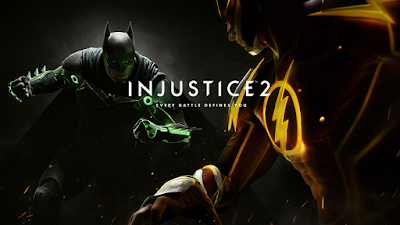 Injustice is back again for round 2, with a new story, characters and modes for you to get stuck into! Can NetherRealm repeat the success of the original or will the sequel fail to capture our imaginations? Now I loved Injustice: Gods Among Us, more notably for its feel good mechanics and epic story mode that pitted heroes against each other in a way you didn’t expect. That was its biggest draw for me and while there have been quite a few changes from a gameplay perspective, it’s still loads of fun to play and the story mode has become even more epic than before. This time the story takes place in the alternate universe where Superman became evil after the death of Lois Lane. With the destruction of the New World Order’s regime there was peace for a short while until an evil society rose, planning to dominate the Earth. With top notch villian’s banding together and an even bigger threat on the way, can the once good Superman and Batman work together to save the planet? In terms of a story for a fighting game, Injustice 2 leads the pack and has clearly raised the bar so high now, that I can’t see other titles in the same genre catching up to the quality that NetherRealm presented. Engaging narrative, great voice acting and incredible cut scenes make up this continuation to the story, and the great thing is, it’s done in a way that makes sense. What I was happy to see was that all the characters had some kind of role to play whether big or small and yes while you didn’t want to play as certain individuals, it did help with deciding who I wanted to take further once the adventure was over. Multiverse is a new mode for Injustice 2 and is somewhat a light continuation of what happened in the original Injustice. It mentions that a Batman requested help from heroes of a parallel earth to help save his own. Due to this the discovery of many other universes were found, infinite earths forming a vast and endless Multiverse. It essentially replaces the Star Labs missions which I really enjoyed with a system that has you battle under different conditions in different multiverses. Each multiverse contains events consisting of a series of battles represented as a numbered stack. An events difficulty is denoted by its level and represents the minimum character level suggested to defeat the event. Each multiverse is only detectable by brother eye for a short time, ranging from minutes to days, after which they will expire. New multiverses are being detected constantly, bringing new challenges and rewards. All this essentially means is that the game will be regularly updated to include new content specific to this mode. A good example of this was the event that took place not too long ago in honour of the release of the Wonder Woman film in which you can earn the same costume. Completing these events grant you rewards such as credits or Mother Boxes. Mother Boxes in Injustice 2 are loot boxes that unlock random skins, shaders, and gear. This is really cool as it can help you customise characters to really make them your own, along with creating those who aren’t necessarily available in the main game such as Reverse Flash and Vixen. There are five different types of boxes and some of them have more gear than others, some are guaranteed to give you Epic Gear, and some of them cannot be purchased with your Credits. In addition to one time performance rewards, most events grant a completion reward. Completion rewards are unique per event and are randomly refreshed upon completing each event. Earn new completion rewards by completing events multiple times. Online is back as well and I’m pretty impressed with how smooth the experience has been. I didn’t have any trouble getting into a match and there were no odd dips or lag throughout which clearly gets a big thumbs up from me. One thing I loved about Injustice was how insane the super moves were and I’m glad they were able to build further on this in the sequel. It’s become bigger and better and I have to say my favourite will have to go to The Flash as he lays the beat down in different time periods and delivers the final smack down back in the present. Injustice 2 is definitely a step up from Gods Among Us and clearly show that NetherRealm are pushing the way forward in regards to what fighting games should be like today. The story mode was incredibly and the facial animations looked incredible, just further bringing me into that narrative. If this is what I can expect going forward then I welcome it with open arms. Hopefully some fan favourites will make a return in the next one.